Sarah follow's in her Dam's foot steps achieving a Grand Championship title in minimum time. 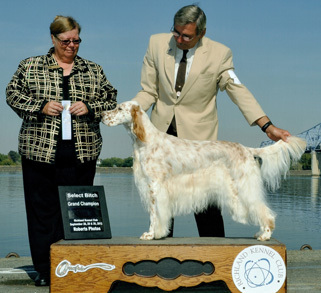 Sarah Finished her AKC Conformation Championship at Bosie Idaho on 10/13/11. She is very elegant and moves like magic. 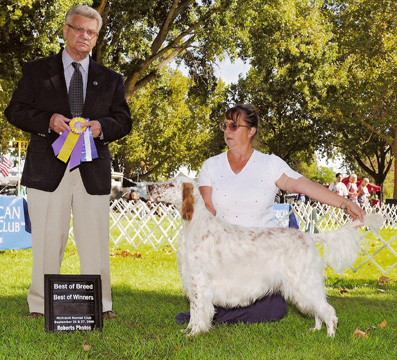 On 10/14/11 she was BOB and picked up 5 Grand Champion points. 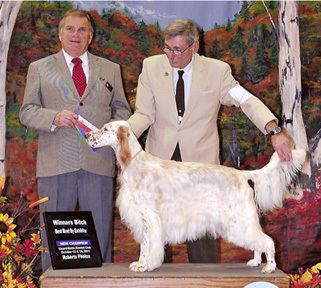 She will finish her GCH in short order. She will be bred in March 2012. Sarah's first time out she wins "Best of Breed" at Richland. Picking up her first point. She is a striking girl and will finish quickly! 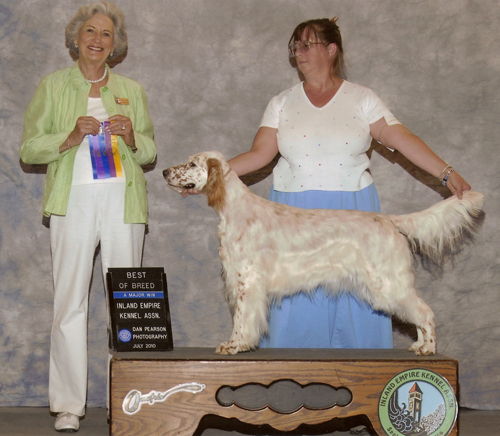 Sarah wins "Best of Breed" at Coeur D' Alene and 1st Major!